Caroline Curtis filed this request with the Logan County Sheriff's Office of Logan County, CO. 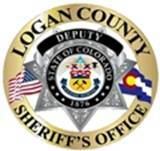 Please be advised that the Logan County Sheriff’s Office follows the strict guidelines as set forth by the Colorado Revised Statutes 18-12-201 thru 18-12-216. Should you require any further statistics and data from our office I will be happy to send you our record request form and the initial fee will be $5.00 for the search. Provision of the appropriate form would be greatly appreciated.